So who is John Sherman anyway? Well, he's the dancing partner that longtime Indians owner Paul Dolan has been looking for. That's according to Terry Pluto, anyway. "For a number of years, I would talk to Paul Dolan in spring training and he would tell me, 'I need to bring in a minority investor.' And in fact it almost became a joke between us. 'Did you find this guy yet?' ... It became baseball's version of 'Waiting for Godot.'" Pluto said the Dolan family, who's pockets aren't as deep as the owners of the Cavaliers or Browns, didn't just want someone to be able to infuse the Indians franchise with capital, but someone who wouldn't pressure the team into making unwise baseball decisions. Pluto recounts a story about how bringing in an additional owner could be hit or miss. Another team's general manager told him his team's owner claimed his nephew had a hot tip on a baseball prospect because the player was doing well in his fantasy baseball league. "Oh my goodness I have a fantasy-league nephew and his uncle wanting to run the team?" Pluto said the manager told him. "And so I'm sure the Indians have heard these same stories." That's why Cleveland took its time finding the right person. Someone who could be a partner, like John Sherman, the Kansas City, Missouri-based oil and gas entrepreneur behind two successful startups. Pluto said Sherman's oil and gas background meant he was willing to take calculated risks, but wouldn't pressure the team in on-the-field decisions. "Nobody told me this directly, but the fact that John Sherman has been in a business where you take a little more risk, has probably influenced the Dolans to take a little more risk." Pluto points to the 2016 trade for relief pitcher Andrew Miller that helped the team reach that season's World Series. He said that trade had Sherman's fingerprints all over it and said the Indians feel they are a stronger team with him in the minority ownership role. Pluto thinks this year's team, which he's patiently watched in spring training, has the makeup of another club that could make a deep postseason run. "This is a team that relies on its starting pitching. And the starters that matter were really throwing well and were healthy." Pluto thinks the team will win 94 games or more for the third straight season. "They'll be the most dominant team in their division, the Central Division. But then you're going to run into the Astros, run into the Yankees (in the postseason.) So that'll be the superpowers (colliding)." The Indians open the season Thursday night against the Mariners in Seattle. The home opener is April 6 against the Kansas City Royals, the team that a certain minority owner of the Indians used to hold season tickets to. Editor's note: This story was originally published on March 28, 2018. 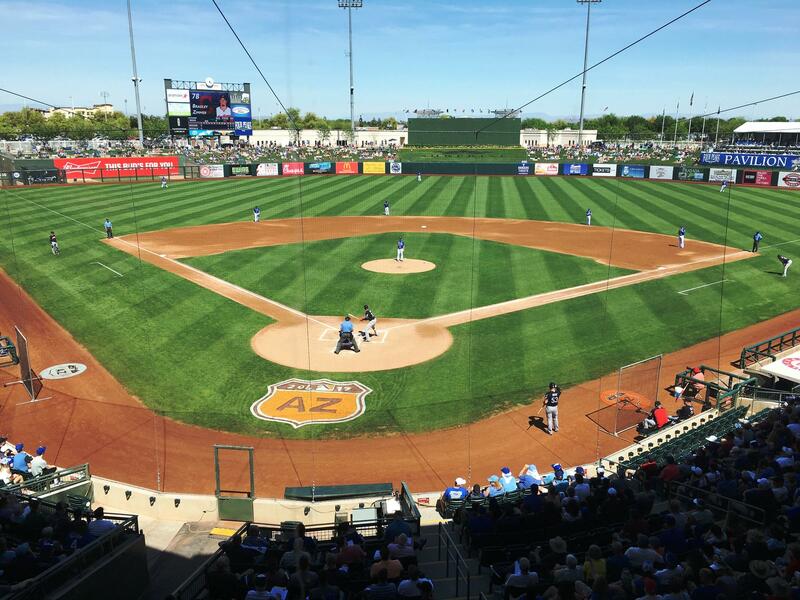 The average nine-inning baseball game took 3 hours and 8 minutes to play last season. That's up from 2 hours and 46 minutes in 2005. 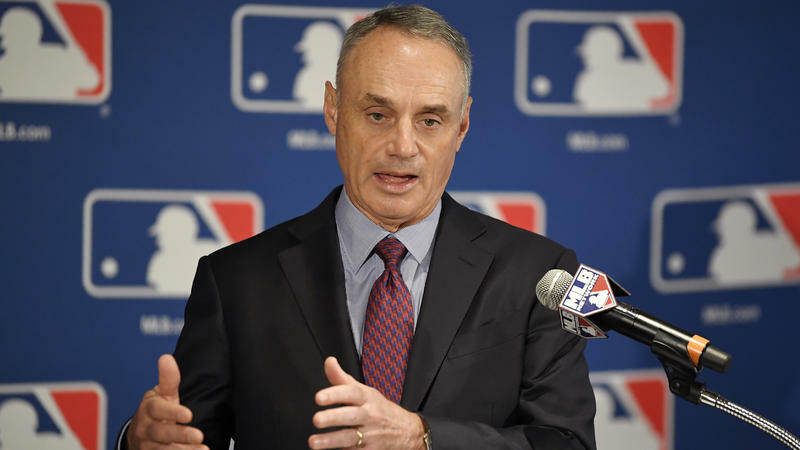 Major League Baseball has long had the goal of moving things along, and on Monday, Commissioner Rob Manfred announced new rules aimed at shortening how long it takes to get a game played. There are still some unanswered questions about the Cleveland Indians’ controversial Chief Wahoo mascot. The Indians will stop using the logo on uniforms in 2019, the year the team hosts the All-Star game. WKSU commentator Terry Pluto was the only local reporter to get an interview with Indians’ owner Paul Dolan. The Cleveland Indians’ decision to remove Chief Wahoo from their uniforms starting in 2019 is drawing a range of commentary from fans, advocates and even public officials. 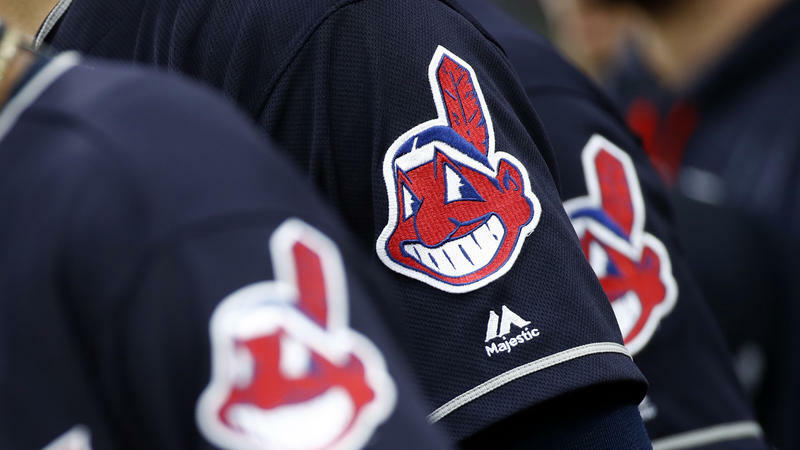 The Cleveland Indians will be removing "Chief Wahoo," the bright red caricature of a Native American the team uses as a logo, from players' caps and uniforms starting in 2019. The divisive logo, which has been publicly protested as a racist and offensive image for decades, will remain on official merchandise available for purchase by fans. "The team must maintain a retail presence so that MLB and the Indians can keep ownership of the trademark," The Associated Press reports.